We install all brands. Have one of our friendly project managers come to you! Need help changing your business environment? 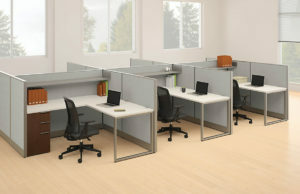 Whether you are having an office-to-office or intra-office relocation, it is important that all of your office furniture is installed correctly when the move is complete. Thankfully, the office movers at Business Environments are conveniently located in the Plano, Texas, area and have helped countless businesses professionally manage their relocations for over 30 years. We feel so strongly about the work our team performs that we even offer an impressive lifetime warranty and satisfaction guarantee so that if you aren’t happy with anything after your relocation, we’ll come back and make it right as soon as possible. Furthermore, when you turn to Business Environments you’ll be able to rest assured that all of your pieces are installed correctly at your new location. In fact, our team is even specially certified to install all floor-to-ceiling demountable walls, high-density filing systems, and mobile filing systems. This means that no matter the furnishings you need installed at your new office, Business Environments will be up to the task. 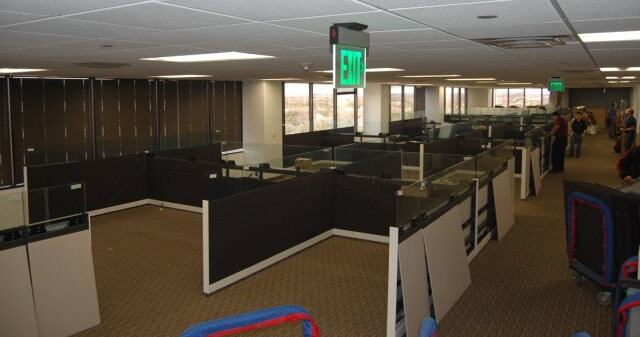 For more information about how we stand out as the leading office movers and furniture installation company in the Dallas, TX, area, contact Business Environments today. One of our team members will happily schedule you for an onsite consultation at your earliest convenience. Business Environments offers an industry 1st lifetime warranty and satisfaction guaranteed on all installations as long as we are the sole servicing company. If we fail to meet our commitment to you, we will refund the cost of that service. Business Environments reserves the right to promptly resolve any punch list items within 24 hours of notification. Lead time on parts is in addition to the 24 hours here-in listed. © 2019 Business Environments. All Rights Reserved.